Cinema has long served to mirror reality, but prestige films are taking that function increasingly literal. 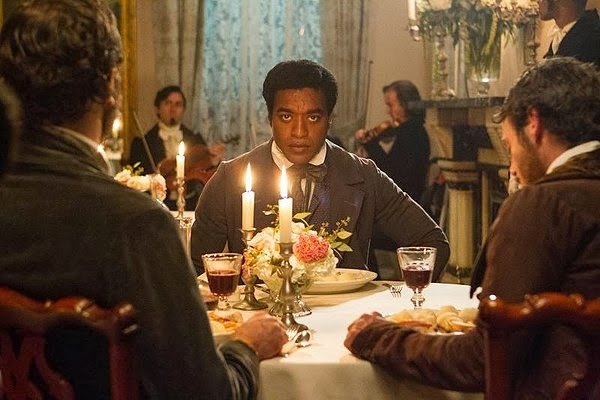 This year’s typically backloaded movie awards season is resplendent with critically ballyhooed films that are wholly or largely drawn from real people and/or events. This year, half of the top 10 films (including my top three) fall into this category, and they don’t even include other awards hopefuls like Inside Llewyn Davis, Saving Mr. Banks, Dallas Buyers Club, Lee Daniels’ The Butler, Mandela: Long Walk to Freedom and Rush. They also don’t include lesser ripped-from-the-headlines fare like The Bling Ring and Pain & Gain. Still, certainly all is not lost for original storytelling, not as long as Alexander Payne, Spike Jonze, Alfonso Cuarón and Woody Allen are around. As with every year, the year in film was full of good and bad. But whether one “likes” a movie is largely defined by expectations. It’s why movies that seemingly came out of nowhere like Fruitvale Station and The Spectacular Now are regarded with heightened fondness in retrospect, while middling movies like Star Trek: Into Darkness, World War Z, and Elysium seem even more woeful in the critical rearview mirror. With that in mind, here’s my compilation of the best, worst, pleasantly surprising and disappointing for 2013. 4. All is Lost—Robert Redford’s sailboat is damaged by a floating shipping container full of sneakers. No, this isn’t a documentary. 5. Only God Forgives—Nicolas Winding Refn apes Kubrick, including the old ultra-violence, plus Kristin Scott Thomas as a lewd potty mouth? Sign me up. 6. Her—Joaquin Phoenix plays a man who falls for the female voice of his computerized personal assistant. I like to imagine this as an unofficial sequel to The Master. 7. Captain Phillips/A Hijacking—A dual entry—one an American film, the other Danish—with similar subject matter. This ain’t Pirates of the Caribbean. 8. Gravity—Director Alfonso Cuarón does 2001: A Space Odyssey. Sandra Bullock does Ellen Ripley. And George Clooney does Ocean’s Apollo 13. 9. The Spectacular Now—From the writers of (500) Days of Summer. Kyle Chandler has appeared in four of my Top 10 films between this year and last. Maybe I oughta start remembering his name. 10. Fruitvale Station—A first-time feature filmmaker and a cast of knowns and extras shed light on a real-life incident horrible police brutality. 10a. The Unknown Known—Call director Errol Morris’ latest talking-head doc The Fog of Rumsfeld. Also call it utterly engrossing. Worst Film of the Year: August: Osage County—The path from stage to screen proves a shrill, outlandish one. Ridiculous caricatures saying extraordinarily risible things. Meryl Streep is being touted for another Oscar nom. A Razzie would be more appropriate. The Smurfs 2—Smurf-tastrophe. 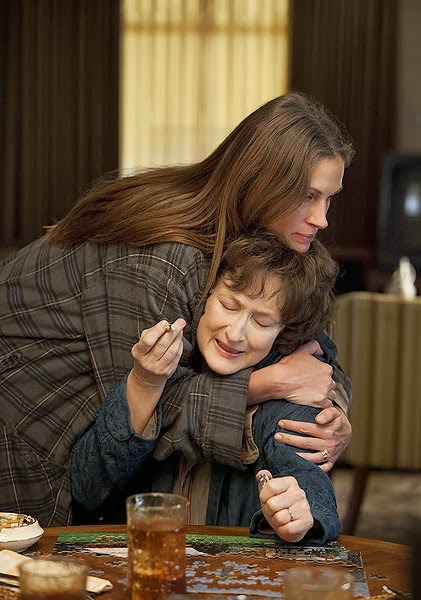 That any movie could be worse than this tells you how wretched August: Osage County is. The Internship—Google the search term “awful Vince Vaughn and Owen Wilson movie.” Seriously. Planes—Forget Saving Mr. Banks. This abomination is the year’s best evidence of Disney duplicity. Hansel & Gretel: Witch Hunters—The name kinda says it all. Oz the Great and Powerful—Toto, I’ve a feeling we’re not in the golden age of Hollywood anymore. The Lone Ranger—Aside from Johnny Depp’s Captain Jack Tonto schtick, there’s little memorable here. At least you better hope there isn’t. Elysium—I liked it … when it was called District 9. Before Midnight—[Neil quickly ducks his head to avoid thrown objects by other adhoring critics] Can we just fast-forward another nine years, past the practiced, pretentious prattle?